Klicke hier um rauszufinden, ob Max die Klausur bestanden hat. iPhone, iPad, iPad mini, iPod touch. Running on Android 2.3 and up. Also for tablets. Your Math study. Made easy. 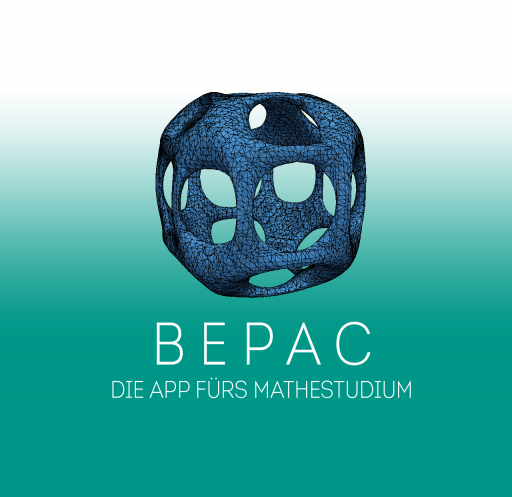 Whether Mathematic, Physics, Information or Engineering Sciences - BEPAC is the first Math-App for Students in courses focussing Mathematics. You can decided on your own, if you would like to work on all exercises in each topic or if you prefer a particular subtopic. You like to mix-and-match? No worries. Just combine the topics and subtopics you need. 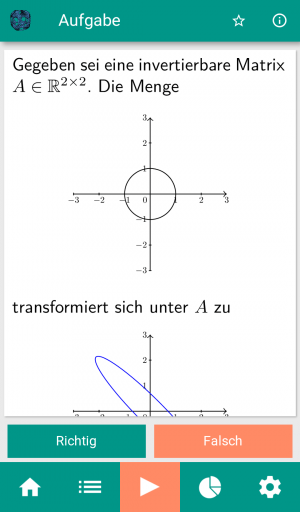 A single click on the start-button and you can succesfully learn math!